Ah, Valentine’s Day! Love is in the air….and Valentines are in the mail! 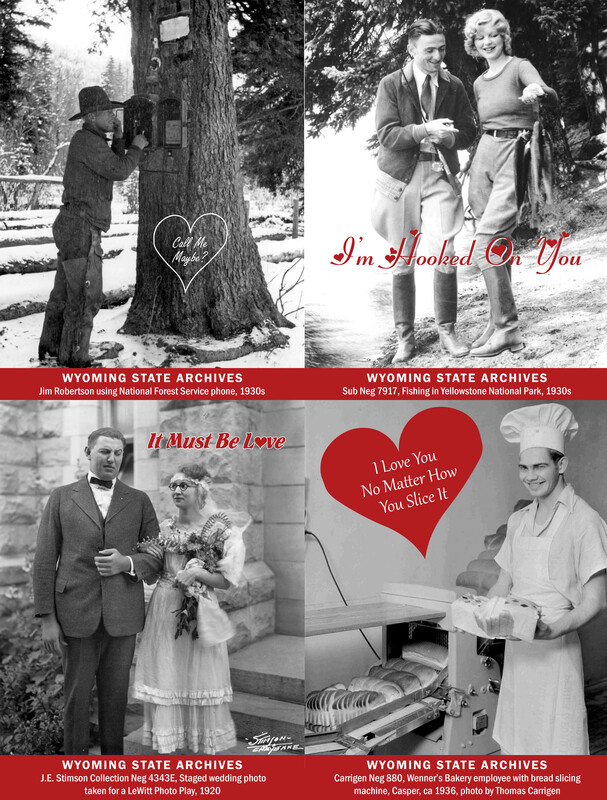 In the spirit of the day, we came up with a few printable valentines of our own to help spread the love (of Wyoming history, of course). Enjoy!! Download the file here to print and share the Valentines. 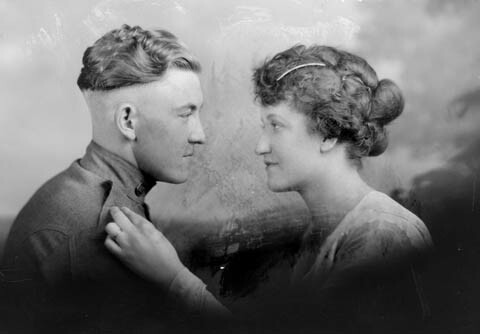 On February 4th, 1889, Governor Thomas Moonlight signed a pardon for twenty year old Harry Longabaugh and a legend was born. 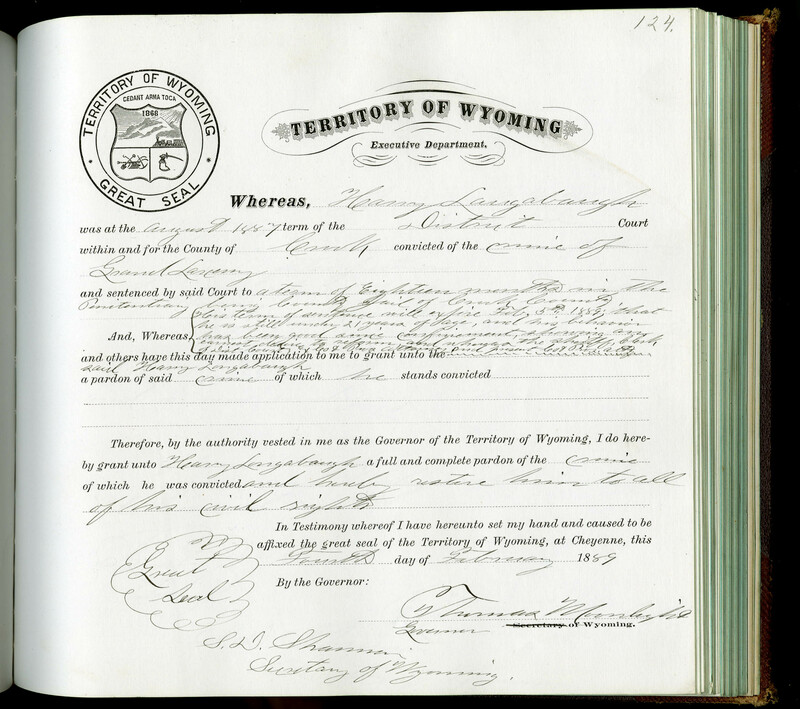 Copy of the pardon granted to Harry Longabaugh (AKA the Sundance Kid) signed on February 4, 1889 by Governor Thomas Moonlight. Longabaugh had been incarcerated in August 1887 for stealing a horse, saddle and gun near Sundance, Wyoming, after pleading guilty to the charge of Grand Larceny and was sentenced to 18 months in the Crook County Jail. According to the pardon itself, his rights were restored because he was “still under 21 years of age, and his behavior has been good since confinement, showing an earnest desire to reform.” Evidently, several upstanding citizens had petitioned the governor on his behalf and the sheriff and clerk of district court had both agreed that he should be given another chance. Unfortunately, Longabaugh did not live up to their expectations. He viewed his incarceration as a badge of honor rather than the punishment it was meant to be. Upon walking out of the jail a free man on February 5th with a new start at life, he immediately began bragging about his time in South Dakota bars, where they began calling him the “Sundance Kid” in honor of his last residence. By 1892, he was known to be a part of the “Wild Bunch” along with Butch Cassidy, Kid Curry, and the Tall Texan and was operating out of the infamous Hole-in-the-Wall. By 1899, they had graduated to blowing up railroad cars with the Pinkertons hot on their trail. 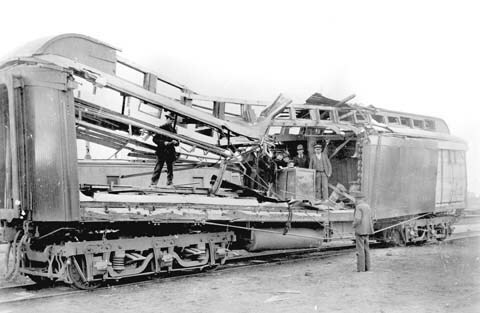 What was left of the railroad car after the Wilcox Train robbery by the Wild Bunch in 1899.